Knowing that we are beings of energy, and knowing that water is a natural conduit (mover) of energy, then it stands to reason that the simple act of washing with water will move energy – especially the negative – away. 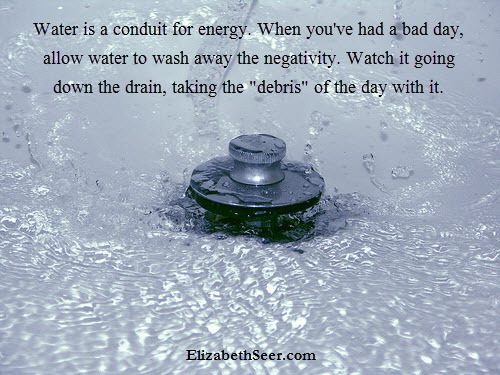 energy cleanse, wash away, water conduit. Bookmark.